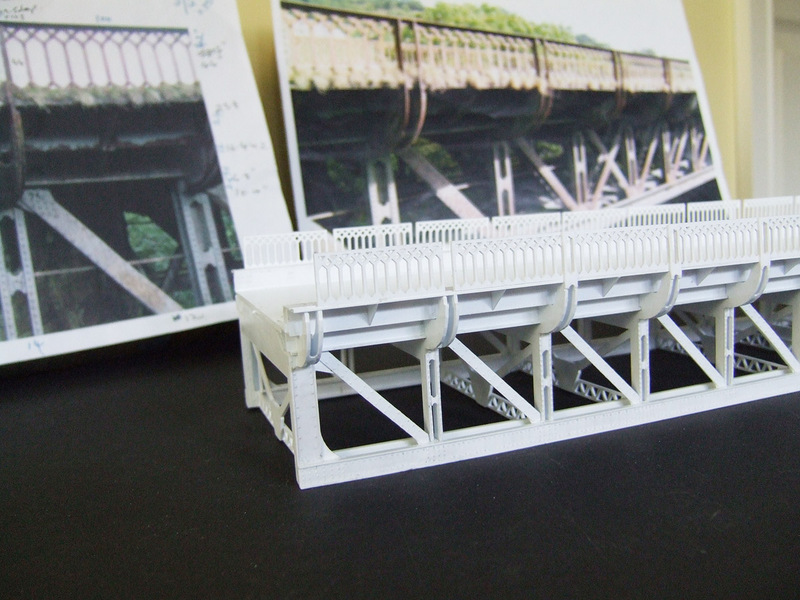 The first progress report and photos of the Millers Dale Viaduct Commission arrived recently from Vincent. He has made really good progress and has included extra detailing parts of his own that have taken the model to the next level. To re-create the rivet detail Vincent actually embossed them onto styrene sheet with a riveting tool. The rivet size is really for 7mm O gauge, so technically oversize but, when he tried the 4mm size, they looked too small. He was afraid that they would disappear once painted. Personally, I don’t think the rivet detail looks too big at all and I would never include myself amongst the ‘rivet counters’ anyway. To me, if it looks right it is right! If it fools they eye then that’s half the battle. 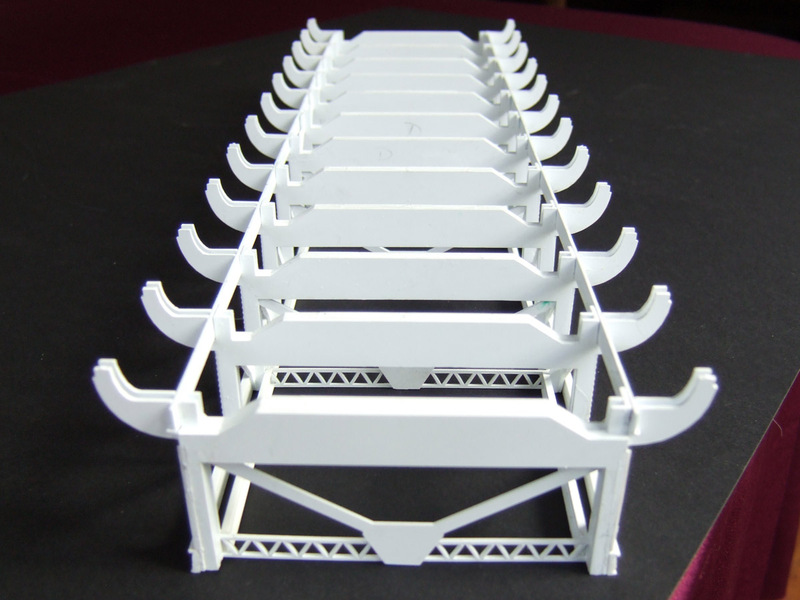 At the end of the day I’m sure that the laser cut kit designed by me, combined with Vincent’s dedicated modelling and detailing, will produce a very reasonable representation of Millers Dale Viaduct. It’s already looking just like the real thing (Nod and a wink to Pete Waterman). One section done, two to go! With this section virtually done I will soon be ordering the remaining two sections. I’m really looking forward to the next update and eventually seeing the end result. 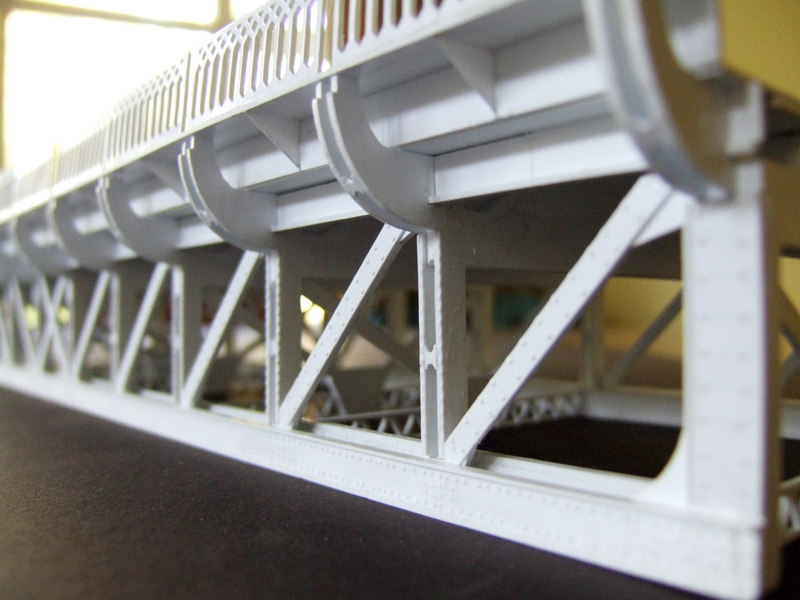 It’s been a really interesting project to work on and the finished model should be really impressive. 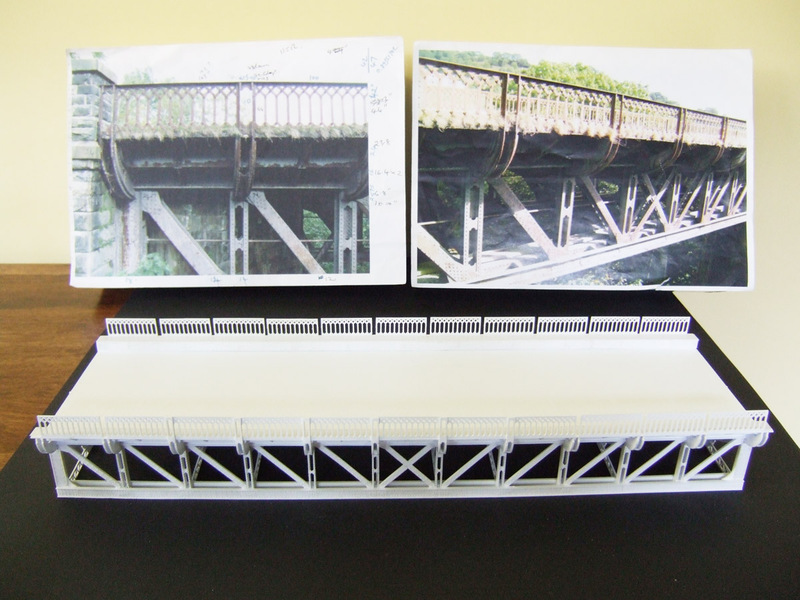 This entry was posted in Dales Peak Models, Detailing, Scratch building and tagged laser cutting, millers dale, model railway, OO Gauge, Scratch building, Viaduct by Ian Robins. Bookmark the permalink.